From BuyCostumes comes this Men’s Arab Sheik Costume. 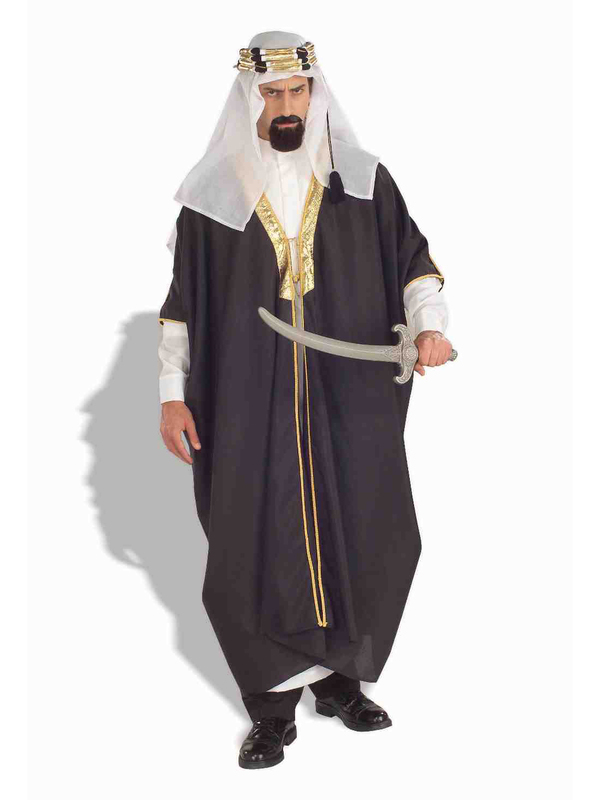 Available as a three piece set, the Men’s Arab Sheik Costume consists of a headpiece, underrobe and robe. The headpiece features jeweled rings that act as décor while the brown robe has gold lacing stitched in a lovely pattern. All pieces included in the Men’s Arab Sheik Costume are made from polyester material. The Men’s Arab Sheik Costume is able to fit most adult male sizes.